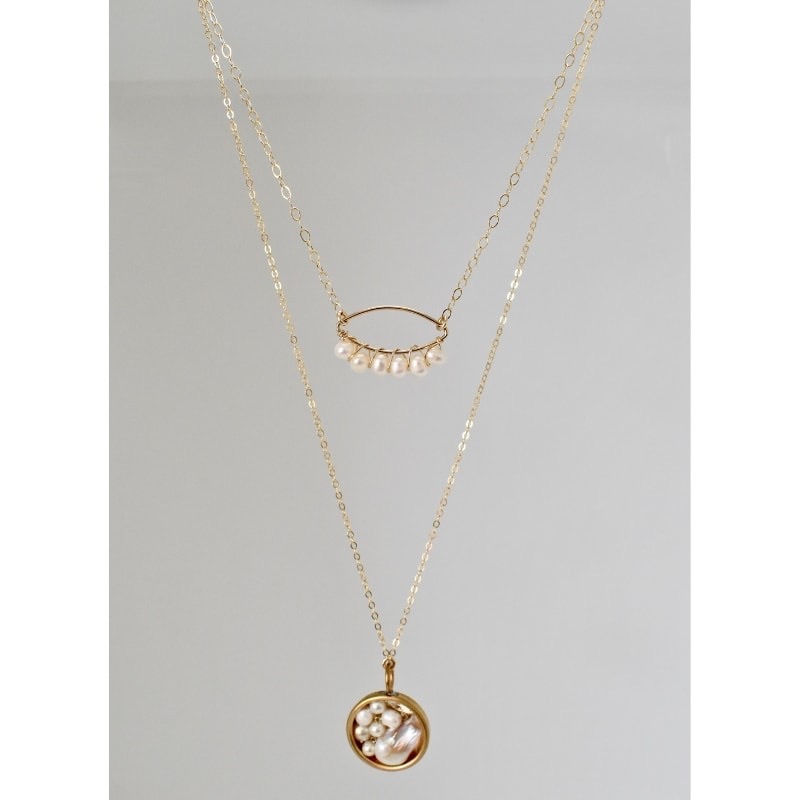 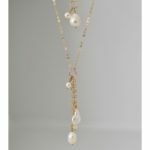 The COCOA ISLAND gold and pearl necklace is designed with 14k gold-filled metal and marquis pendant. 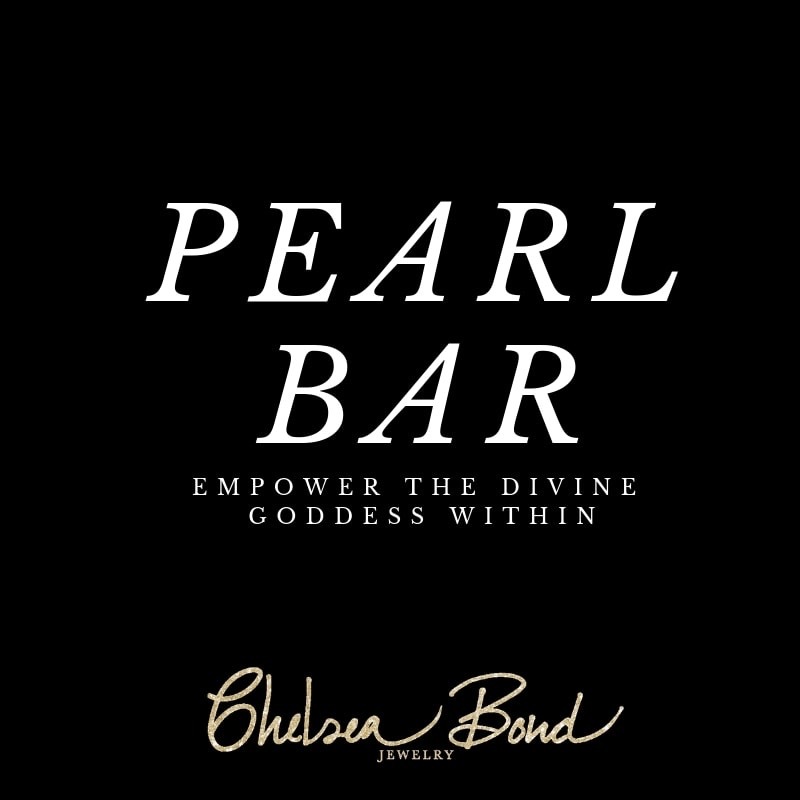 Each pearl is wire-wrapped for a one-of-a-kind design each time. 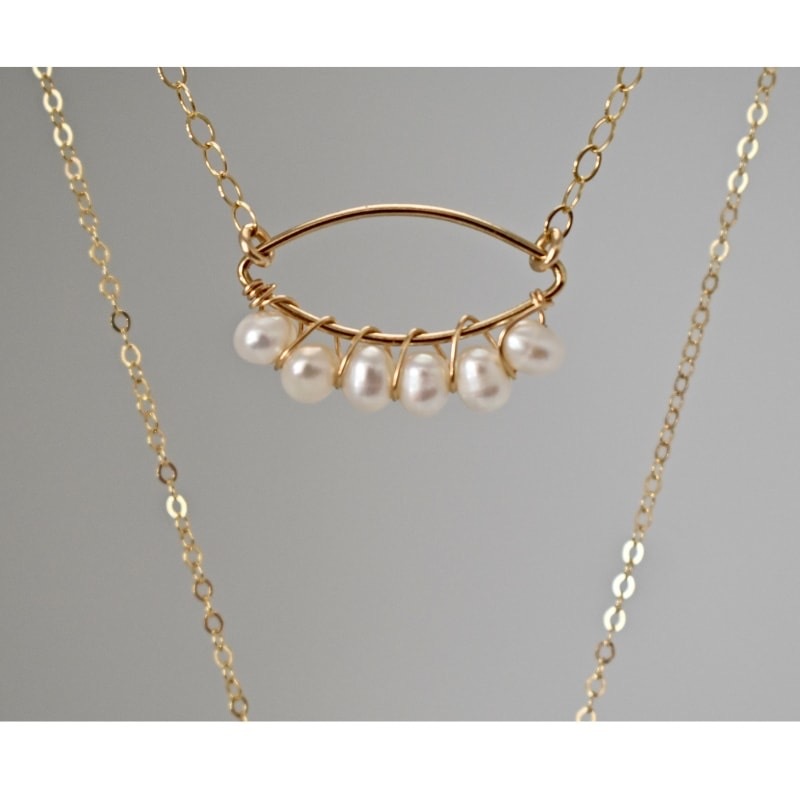 Order this beautiful one-of-a-kind necklace to add modern beauty to your jewelry collection.